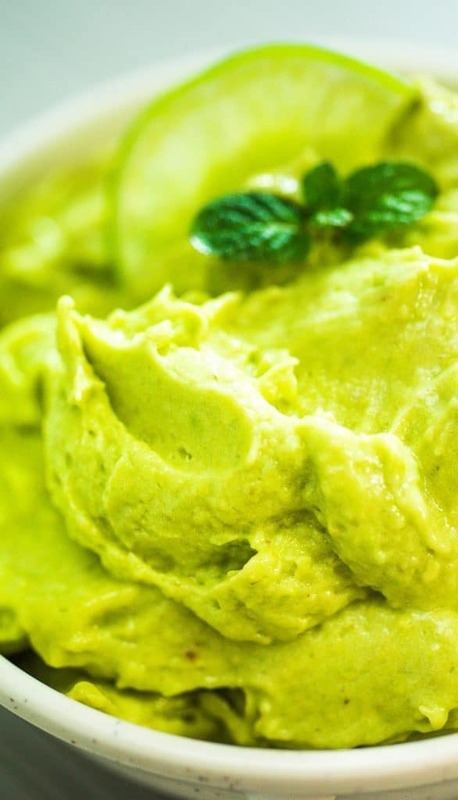 This creamy and smooth Avocado Ice Cream is just the dessert to please any diet! Made with only 3 ingredients, it makes a perfect summer treat. 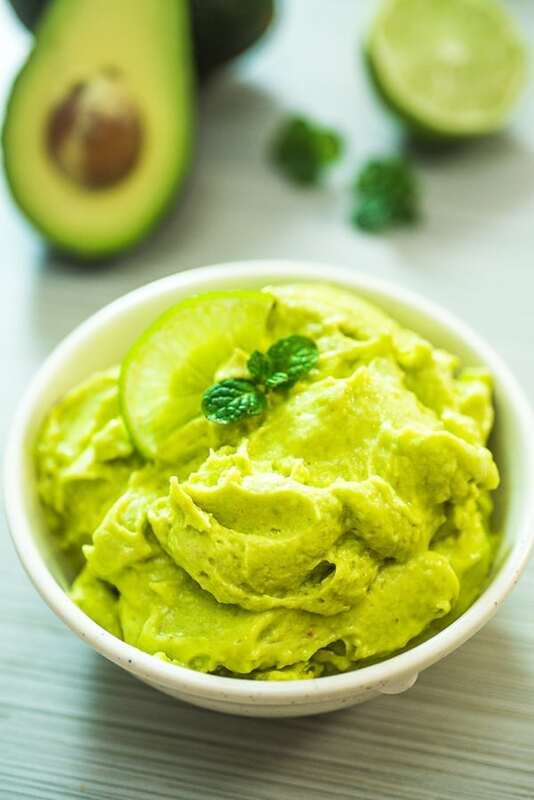 This Avocado Ice Cream has a soft-serve texture, beautiful green color, an array of health benefits, and a refreshing taste. I can’t wait for you and your kids to try it. Oh yes, kids love it, too! A few years ago, I discovered how to make healthy and tasty ice cream with just one ingredient: banana. 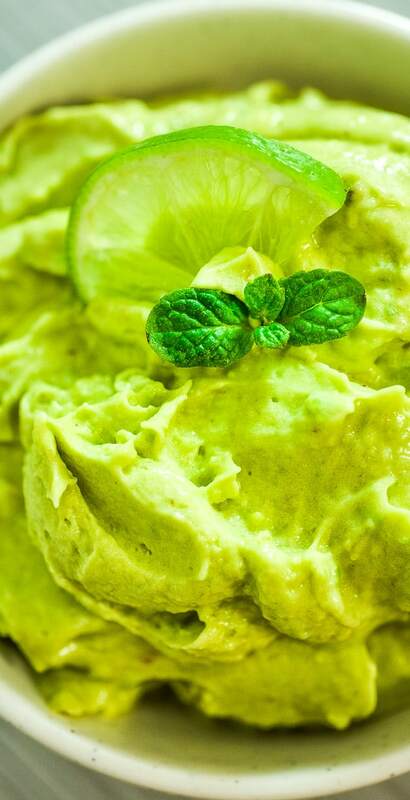 Being a huge avocado eater, it was just a matter of time before I created this scrumptious Avocado Ice Cream Recipe. 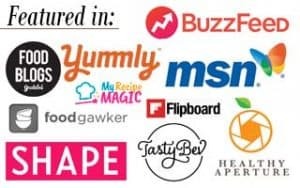 Let’s talk about the ingredients. Bananas. 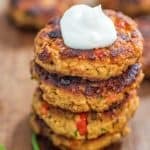 Make sure you are using ripe bananas! If the bananas have any green color on the peel, you should wait at least until they turn fully yellow. It is best to use bananas that are just beginning to get brown spots on the skin. Avocados. It is best to use fully ripe avocados as well. Lime Juice. A surprisingly important ingredient here. 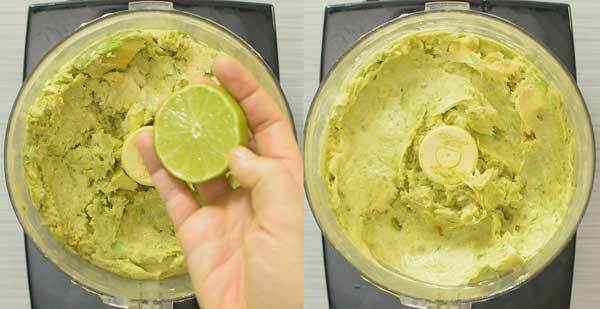 Lime juice gives a very refreshing taste to the ice cream and shouldn’t be skipped. Although, lime juice works better in this avocado ice cream recipe, you can substitute limes for lemons if that’s what you have on hand. 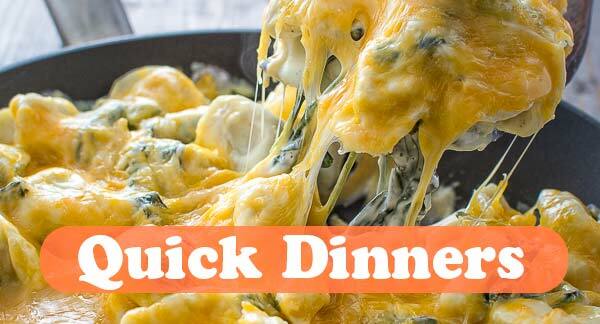 1.Peel avocados and bananas and cut into medium (1 inch) pieces. 2. Put the fruits into a Ziploc bag and freeze for 4 hours or overnight. 3. 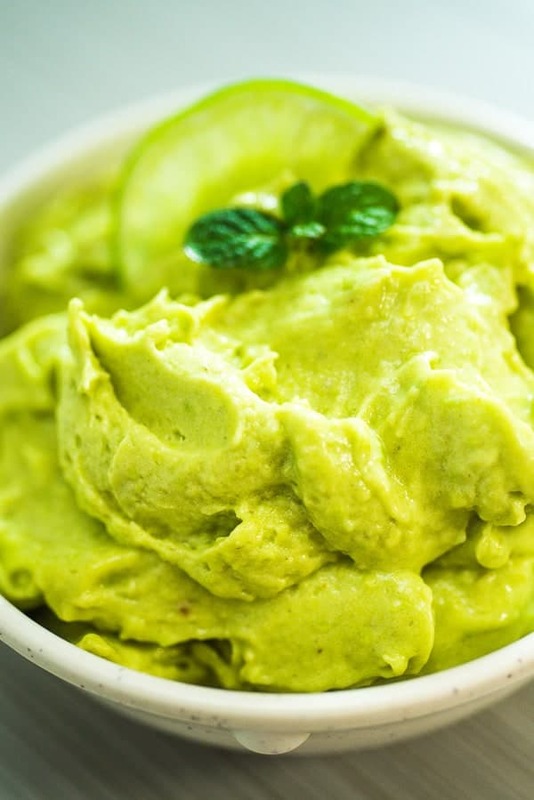 Place the frozen avocados and bananas into a food processor* or a very powerful blender and start pulsing. At first, you’ll see big chunks of fruits, and it won’t seem like it’s working. That’s OK, just keep pulsing and breaking big lumps with a spoon. 4. When the frozen fruit breaks down a bit more, add the lime juice. Process the ice cream, stopping to scrape the sides of the food processor and breaking any lumps with a spoon. *Bang the bag of frozen fruit on the kitchen table a couple of times to help break up the pieces that are stuck together. **At this point, your ice cream will have “soft-serve” consistency. 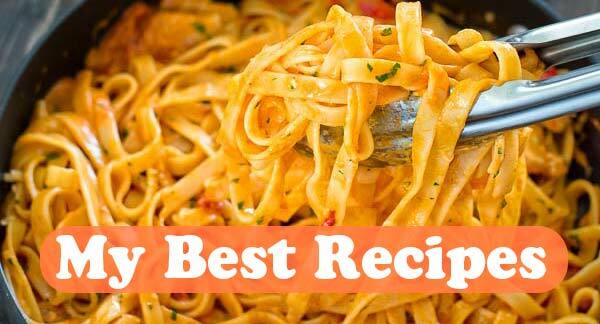 If you prefer, you can transfer it to an airtight container and freeze it until it’s a little more solid (about 1 hour), and scoop it into a bowl. I need to warn you in advance: Avocado Ice Cream does not store well. My best advice is to make as much ice cream as you are planning to eat. 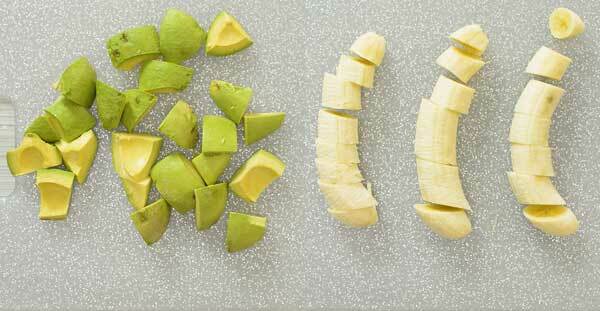 Divide your chopped avocados & bananas into small portions and freeze in different Ziploc bags. 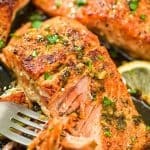 When ready to enjoy, just use as much as you are planning to eat and leave the rest in the freezer. If you do have leftovers, you can keep them in a fridge for about 4 hours and use them for a smoothie bowl later. 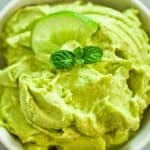 Is Avocado Ice Cream Healthy? 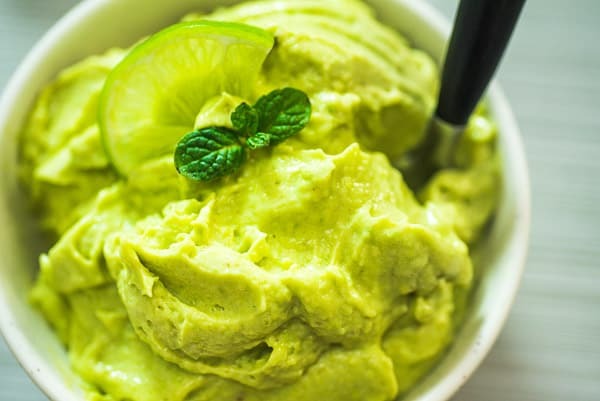 Because it is made with only bananas, avocados, and lime juice, this Avocado Ice Cream is one of the healthiest things you can put in your body. No added sugars and only wholesome ingredients. Enjoy it all summer long! Read more: Avocado Health Benefits, and Banana Health Benefits. 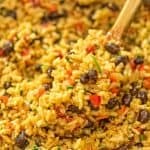 Want to spice things up? Try some of the options below. Chocolate. Skip the lime juice, and add 1 tbsp. of cacao and 1/4 cup of full-fat coconut milk. Chocolate-Mint. Add about 5-6 mint leaves and process together with the frozen fruit. Once the ice cream is ready, mix in some dark chocolate chips. Raspberry or Strawberry. 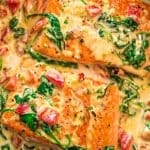 Add 1 cup of frozen raspberries or strawberries. Berry Medley. Add 1 cup of frozen mixed berries. 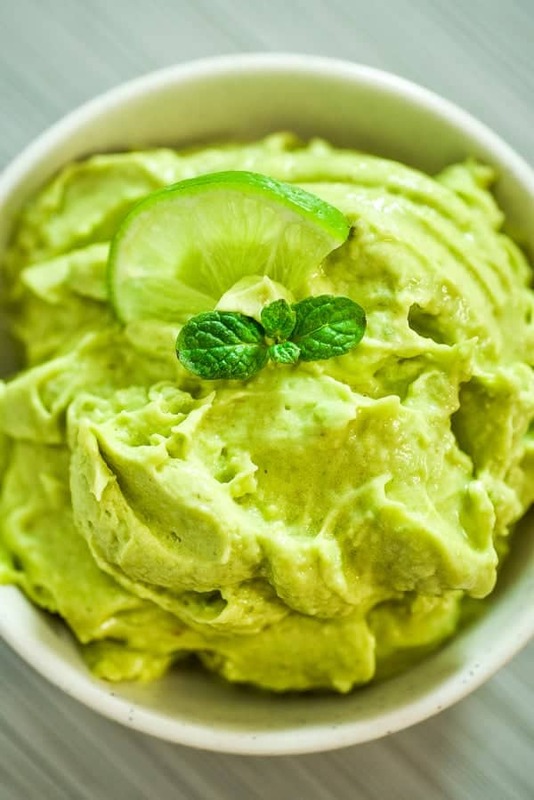 How many calories in Avocado Ice Cream? 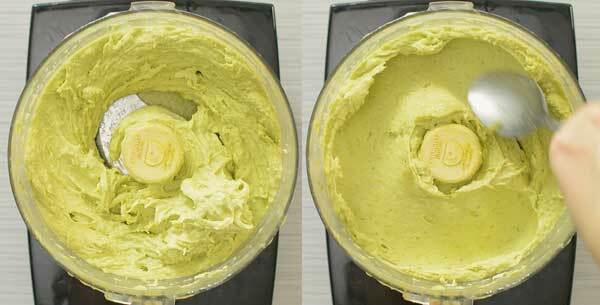 This Avocado Ice Cream has 240 calories per serving. You can find detailed nutritional info in the recipe card below. Peel avocados and bananas and cut into medium (1 inch) pieces. Put the fruits into a Ziploc bag and freeze for 4 hours or overnight. 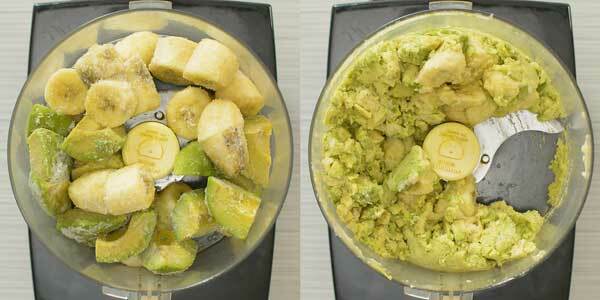 Place the frozen avocados and bananas into a food processor* or a very powerful blender and start pulsing. At first, you’ll see big chunks of fruits, and it won’t seem like it’s working. That’s OK, just keep pulsing and breaking big lumps with a spoon. When the frozen fruit breaks down a bit more, add the lime juice. Process the ice cream, stopping to scrape the sides of the food processor and breaking any lumps with a spoon. Can’t wait to try. 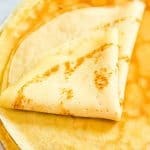 Looks so fresh and yummy! 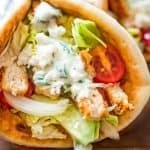 It was very tasty and my toddler loved it. Thanks!